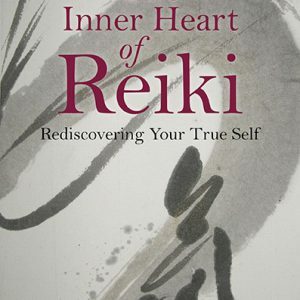 As would be expected from the authors of The Reiki Sourcebook, this guide contains beautifully grounded information that captures a unique sense of the system’s traditional Japanese roots. The clarity and accessibility of the teachings in this book redefine and strengthen the concept of the system of Reiki as it is practiced today. Buy The Japanese Art of Reiki from Amazon here. Growing out of an intensely spiritual period of Japan’s history this system has affected people from every country, the world over. The popularity of this system lies not only in its healing abilities but also in its gift to help you remember your true spiritual nature. All branches of Reiki have as their foundation five basic elements. Step-by-step you are taken on a journey of self-healing using these elements including traditional meditations and techniques, precepts and hand healing. Learn about each element and how to use it guided by the fully illustrated text. What is in The Japanese Art of Reiki? Putting this knowledge into practice becomes easy with further guidance. Discover how to choose a course to suit your needs, find joy in a daily routine of practice and bring this system up close and personal into your every day life. This journey is beneficial for those wishing to enhance their personal and spiritual growth whether they are new to the system of Reiki or have been practicing it for many years. Emotional balance, mental agility, physical recovery and spiritual connection are the cornerstones to self-growth and all are promoted by working with these traditional Reiki techniques. This is a sequel to the acclaimed “The Reiki Sourcebook.” For those of us in the West who see adverts for weekend Reiki Master courses and wonder about the authenticity of the tradition, this book is an eye-opener. It takes the reader back to the Japanese roots of the tradition in a way that conveys its inspirational power and cultural flavour. The book is illustrated and is full of practical guidance for both practitioners and general readers. This book feels like a sacred manuscript, uncovered from the ancient past, holding within its pages the authenticity and the essence of the original Reiki masters, where we rediscover the secret art of self-healing. The first Reiki book of its kind to look at the fundamentals of the system of Reiki from a Japanese perspective. Perfect for those wanting to learn Reiki from a traditional approach and for those who would like to find more depth in their current Reiki practise. Your mind, body and spirit will enjoy this special journey together. At last Frans and Bronwen Stiene have positioned Reiki where it belongs – as a personal spiritual practice. In ‘The Japanese Art of Reiki’ there it is – right there with sacred practices of meditation, yoga and the martial arts. The extensive self-healing and self-development tools are all presented with an emphasis on a daily personal practice. The language in which they are presented supports the idea that Reiki is not only a healing tool to be used to heal others but a spiritual practice that can, once integrated into the life of the practitioner, be used to teach others to heal themselves. 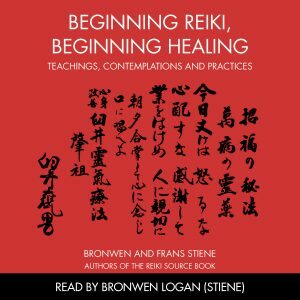 Authors of ‘The Reiki Sourcebook’ Bronwen & Frans have extensively researched the history of Reiki in Japan and the religious, cultural and historical influences and connections, which of course take us to the founder, Usui Mikao. From the moment I began to read this book I felt the love with which it is presented emanating from the pages, as though I was receiving a Reiki treatment. I love the Tale of Sato. Her gentle introduction to Reiki and her subsequent self-healing journey is a joy to read and conveys the subtlety of Reiki beautifully. 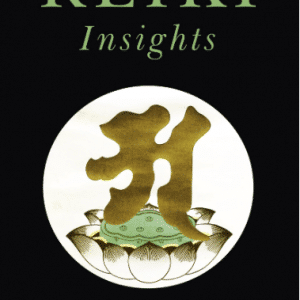 A gem for anyone on a spiritual path and essential for all Reiki practitioners. Bronwen and Frans Stiene have done it again! 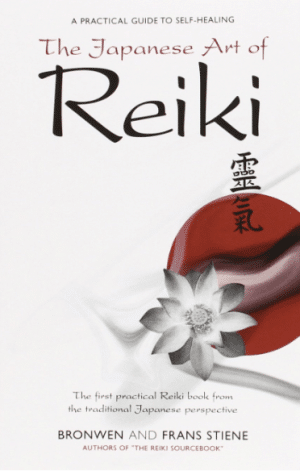 Following on from their encyclopaedic ‘Reiki Sourcebook’ they have now written what is probably the most up to date exposition of the roots of Reiki. The book offers much information that is not readily available elsewhere, thanks to their own research and contacts with original students of Usui Sensei (through Chris Marsh) and a student of Eguchi’s Palm Healing System,(Eguchi was another student of Usui). The Stienes cover the emergence of Reiki, including its cultural background and other healing systems around at the time of Usui, the Three Diamonds, The Five Elements of Reiki, the Five Precepts, Mantras (jumon) and symbols (shirushi), Reiju, choosing a Reiki course, developing a regular routine of self-practice and a comprehensive glossary of Japanese terms and further reading. I can heartily recommend this book to any Reiki Practitioner, or general enquirer, who is interested in what Reiki is really all about. For practitioners of any level, it will bring a new dimension to your practice and heralds a welcome return to the simplicity of the original system of Usui sensei. Since the first whiff of information came from Japan that there might still be traditional Japanese Reiki practitioners in Japan, we became intrigued with the system of Reiki’s Japanese past. We travelled to Japan (with our two year old in tow) to see if we could find out anything else about it. In Japan we met with teachers who taught a mixture of both traditional styles of Reiki and its more modern versions. We realised that what we had initially been taught as the system of Reiki had its roots in Japan – specifically in the Japanese culture, philosophy and cosmology. The aim of The Japanese Art of Reiki is to offer those interested in the system of Reiki, and those already practicing it, greater depth and understanding of Reiki’s roots from a Japanese perspective. We found that after writing The Reiki Sourcebook we were inundated with enquiries about the Japanese aspects of the system from Reiki practitioners craving more out of their practices. To support these individuals and anyone interested in the Japanese aspects of the system this highly practical book has been written. This book will aid you in becoming more grounded and confident in your practice. It will support you in creating a regular practice that will take you into the depths of the system’s origins. 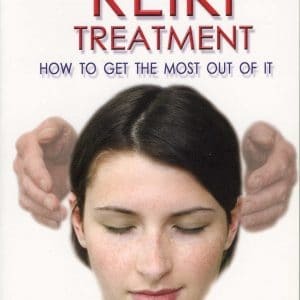 This is not a compendium like The Reiki Sourcebook, but a guide for people who want to heal themselves and connect to life spiritually using simple and effective Japanese Reiki practices. If you would like to order a number of books direct from the distributor then here are some contact details. If you are looking for a single copy you can also ask the distributors for a bookstore in your vicinity that sells The Japanese Art of Reiki. If a distributor is not listed in your country then let us know and we’ll send you a further distribution list.